Do frigid mornings make you wish you could step into a warm car for your daily commute? For many drivers, chilly winters mean shivering as you wait for the heater to kick in, or wasted time scraping ice off the windshield. Think about how much time is added to the morning commute just from waiting for things to heat up! But instead of going outside to start your car in the morning, what if you could just hit a button? 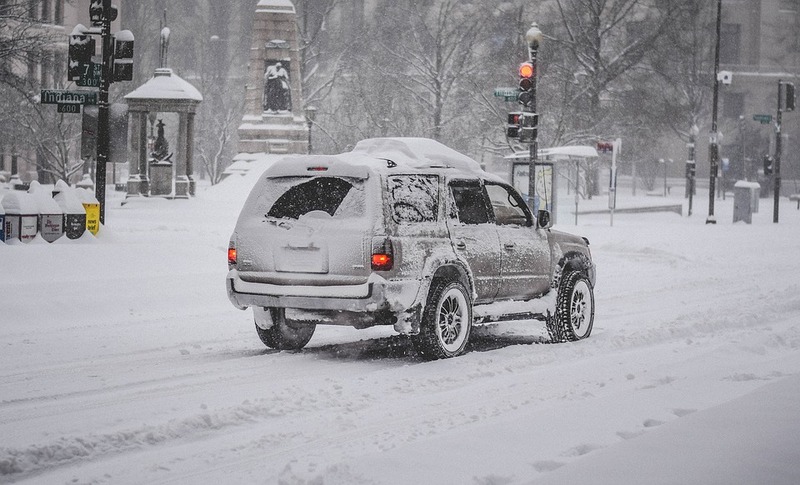 Auto remote starters heat up the car and help melt the snow and ice on the windows. The only shiver you feel is a brief chill as you leave your cozy home and get into a cozy car! Auto remote starters come with a variety of functions to suit your needs, making your car comfortable for when you’re ready to get in, whether it’s 30 below or 30 above. For help choosing the best remote car starter for you and your vehicle, we’ve put together this handy guide to cover everything from features to installation and operation. Let’s get started! Short Range or Long Range? Automatic car starters are wireless remotes, usually in the form of key fobs, that send signals to devices in vehicles via radio frequency transmission. The effective range of each transmitter is usually listed in their packaging or product info and generally falls between 500 and 5,000 feet. Chances are, 500 feet is plenty for most uses; after all, your home and driveway typically aren’t more than fifty feet apart at most, right? If 5,000 feet feels like too much, consider that that’s effectively 1.5 kilometers. Now think of parking in an office lot in the dead of winter. Seems a bit more appealing doesn’t it? Now think of signal interference. A 500-foot range suddenly gets cut in half when you consider physical space and interference. If you’re only starting your car when it’s parked in front of your home, a 500-foot range is plenty. Think about usage, though, and how frequently you sit around waiting for a vehicle to warm up. If your car is parked at a further distance with plenty of interference, such in an underground parking lot, the longer ranges are ideal. Monitor the security of your vehicle. Some remotes also come with programming capabilities, so you can schedule to have your car turn on at specific times of the day. This helps in the winter when extremely cold temperatures put your car at risk of not starting and you’re not planning on going outside. If you want to warm up your car overnight so it will start in the morning, a programmed timer on your remote starter can do that for you. These features can make your car more secure, easy to use, and comfortable, so you won’t have to freeze in winter, or overheat in summer when you first get in your car. Part of the remote system installation includes installing a box on the car’s ignition switch to receive signals from your remote. However, you should leave this installation to the professionals! DIYing this installation could void warranties on your vehicle. Leave it to the professionals. They’re experienced with the complex wiring systems of cars, and there are many factors that could affect installation depending on your car make and model. Your car has a security system—alarms, theft-deterrent modules—that needs to be bypassed during installation. A professionally-installed, high-quality remote starter system will ensure the remote starter: works effectively; will not void your car’s warranty; and will not risk causing damage or problems with your car during or after installation. Since many modern vehicles have built-in security modules, most cars require a bypass module in order to use auto remote starters. Anti-theft modules normally require your unique physical car key to be inside the ignition for the car to start. However, a bypass module tricks the engine, so when you press a button on the remote to start the car, it works as though a key is in the ignition. And even though your car will be running without supervision, you won’t have to worry about someone stealing it. The doors remain locked until you unlock them, and the engine shuts off if someone happens to get in and press the gas pedal without a key.